A third of Taiwanese manufacturers are optimistic about business outlook in the first half of 2016, according to TIER’s survey. 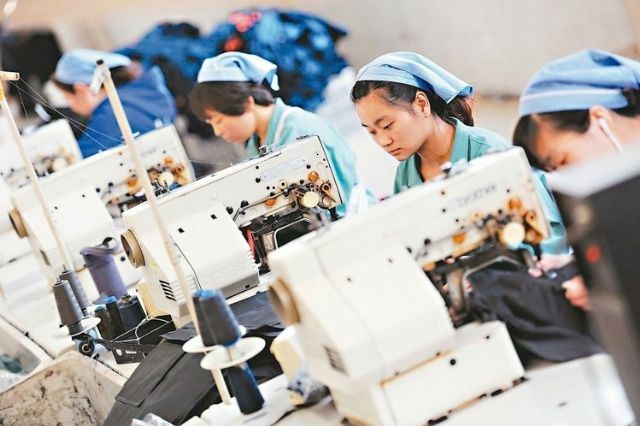 A survey recently released by the independent think tank Taiwan Institute of Economic Research (TIER) shows that 29 percent of local manufacturers polled in January by the institute feels optimistic about business prospects in the first half of this year, up 6.6 percentage points from 22.4 percent posted in the month earlier. In the survey, 16.8 percent of the respondents sees gloomy business outlook, decreasing 11.3 percentage points from 28.1 percent registered in the previous month. A total of 54.2 percent of respondents felt neutral about the business outlook in the coming six months, down 4.7 percentage points from 49.5 percent registered a month earlier. Respondents in manufacturing sectors who expected business to improve are mostly engaged in making educational and entertainment-related products. Those who felt business will likely deteriorate are mostly engaged in making wood and bamboo products, petrochemicals, non-metallic minerals, porcelain and ceramic products, glass and glass products, cement and cement products, metallic structure and architectural components, cutlery and tools, data storage media units and duplication, construction and basic civil engineering construction, and insurance sectors. The manufacturers and operators who felt business to remain lukewarm are mostly engaged in operating abattoir, textiles mills, yarn spinning mills, fabric mills, industrial chemicals, manmade fiber manufacturing, petroleum and coal products manufacturing, electric wires and cables manufacturing, audio-video electronic products manufacturing, bicycles parts manufacturing, real estate investment, and securities sectors. Based on the responses of the polled manufacturers, the institute's Manufacturing Composite Indicator for January this year, which was adjusted for seasonal factors on moving average, slightly decreased 0.09 points to 90.77 points from 90.86 points registered in December 2015, declining for the third consecutive month. The institute points out that the latest indicator has roughly stayed within this insignificant fluctuation range since June 2015, similar to the reading in the second half of 2009 and the first half of 2013. Minor fluctuation, the institute notes, suggests a flat growth in the island's manufacturing industry. When the institute was conducting the survey in January, the island's exports in that month contracted 12.97 percent year on year, marking the twelfth month in a series of worsening year-on-year monthly declines. In that month, the island's exports to mainland China, the Association of Southeast Asian Nations (ASEAN) block, and the U.S. all plunged. The exception was the European Union, to which the island's exports increased 3.4 percent year on year. Nevertheless, the institute's Economic Forecast Center projects the island's exports will likely rebound in the second quarter, ending the three-consecutive-quarter downtrend since 2015. The center's director general, M.D. Sun, analyzes that although the island's exports still posted double-digit recession in the first month of this year, the decline will likely slow to single-digit rate in the second quarter in light of three emerging, encouraging signs—strengthening yen-to-greenback rate relative to the weaker NT-dollar, rebounding oil prices (Brent crude being above US$36 and WTI above US$39 a barrel as of March 7 compared to sub-US$30 in early 2016 ), and aggressive rollouts of non-Apple mobile computing devices at the Mobile World Congress 2016 held in Spain. He points out that the strengthening Japanese yen (having exceeded 112:1 to the greenback recently compared to 120:1 just a couple months ago) is giving relief to Taiwan's machine-tool makers, which have lost considerable international orders to Japanese makers taking advantage of the sharp revaluation of the yen before its recent rise. Like its exports, Taiwan's imports in January registered double-digit year-on-year drop of 11.69 percent, though the island's international trade still posted a surplus of US$35.12 billion in January, representing a decrease of 19.24 percent from the same month of 2015, according to TIER. The institute's data shows that the island's consumer price index (CPI) inched up 0.81 percent year on year in January regardless of plunging oil prices worldwide. The index rose due mostly to hiking vegetable and fruit prices caused by heavy rainfalls on the island. The institute points out the CPI reading suggests inflationary and deflationary pressures are not likely to impact for the time being Taiwan's economy although fear of deflation remains due to slowing business. In the meantime, the island's wholesale price index (WPI) tumbled 4.82 percent.